This symposium will review state-of the art practice in acute stroke management, with emphasis on the new expanded window of treatment. Health professionals with a stroke focus will gain a better understanding of the new 2018 American Heart Association guidelines for acute ischemic stroke, the new science in atrial cardiomyopathies and post stroke management. Global health impact of stroke will also be featured, as well as, an update on translational stroke research. This activity is intended for providers in the specialties of Neurological Surgery, Neurology, Emergency Medicine and Internal Medicine. Physicians, Physician Assistants, Nurse Practitioners, Registered Nurses, Pharmacists and therapists who are interested in advancing their knowledge in stroke care are encouraged to attend. Explain new evidence of expanding acute stroke thrombectomy treatment in elected patients to 24 hr last known well and to review all the new guidelines that focused on strict evidence in recommendations, and thus lowered evidence in areas that were lacking (such chemical prophylaxis in VTE prophylaxis and routine ordering of MRI). Apply appropriate selection of medical management of hyperlipidemia in stroke care including new PSK Inhibitors. Distinguish the difference in known atrial fibrillation and the contribution to stroke risk of atrial cardiopathies overall. Summarize the indication for PFO closure in selected patients post stroke. Identify the global impact of stroke and how healthcare workers everywhere share the burden of care and prevention. Recognize the impact of meaningful and targeted therapies, including new evidence in rehabilitation stroke medicine. Explain the current state of this targeted science, including trials that are ongoing now. 7:30 AM 7:35 AM Welcome Mark Johnson, M.D. 7:35 AM 8:00 AM Opening Address Ralph Greenlee, M.D. Cerebral Imaging in Acute Stroke Alejandro Madagan, M.D. New Frontiers in hyperlipidemia: PSK Inhibitor Parag Joshi, M.D. Lack of Evidence: CPG Mark Goldberg, M.D. Real World Practice Dion Graybeal, M.D. Patent Foramen Ovale Michael Luna, M.D. Atrial Cardiopathy Ty Shang, M.D., Ph.D.
10:40 AM 11:10 AM Global Impact of Stroke Mehari Gebreyohanns, M.D. 11:10 AM 11:40 AM Closing the Gap in Stroke Transitions of Care Nneka Ifejika, M.D., M.P.H. 1:30 PM 2:10 PM Dealing with Stroke: Nurse Perspective Daiwai Olson, Ph.D., R.N. 12:50 PM 1:30 PM Palliative Care in Stroke Management Stephanie Houck, M.D. 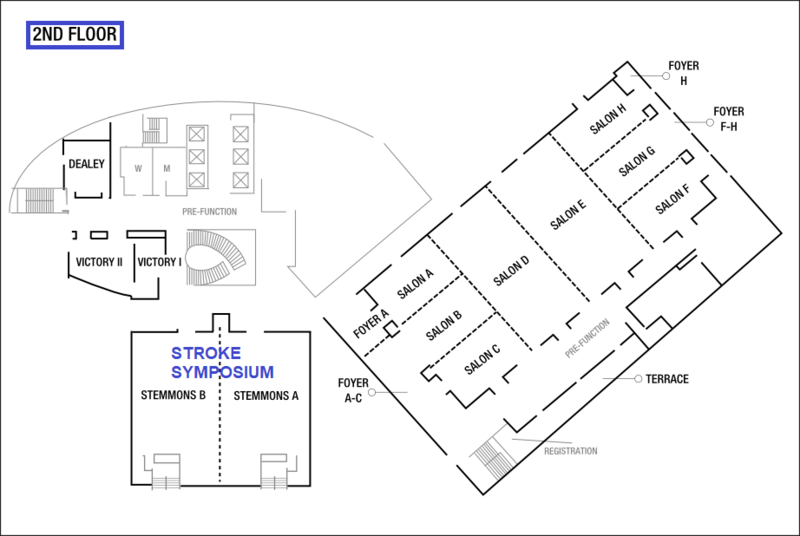 1:30 PM 2:10 PM Thrombolytics in Stroke Care - Special Guest lecture Jessica Lee, M.D. 2:20 PM 3:00 PM Keynote: Windows of Hope Steven Warach, M.D. There is a discounted parking rate for this symposium. The University of Texas Southwestern Medical Center is accredited by the Accreditation Council for Continuing Medical Education (ACCME) to provide continuing medical education for physicians. The University of Texas Southwestern Medical Center designates this live activity for a maximum of 6.0 AMA PRA Category 1 Credits™. Physicians should claim only the credit commensurate with the extent of their participation in the activity. UT Southwestern University Hospitals is an approved provider of continuing nursing education by the Texas Nurses Association – Approver, an accredited approver with distinction by the American Nurses Credentialing Center’s Commission on Accreditation. This activity provides 6.5 contact hours. Create an account in EthosCE, online learning management system, by selecting the "create an account" link or "login" to your existing account. Return to this course page, select the designated fee and click the "add to cart" button. In the following "checkout" pages you will verify and process your payment. After registration is completed, a confirmation will be sent by email. A $25 handling fee will be deducted from cancellation refunds. Refund requests must be received by email at cmeregistrations@utsouthwestern.edu by October 1, 2018. No refunds will be made thereafter. Registrations are non-transferable.